– Americana Award for most outstanding depiction of national treasures and traditions: Farmers Insurance, Honoring Hometown Heroes, Phoenix Floats. – Animation Award for most outstanding use of animation: Underground Service Alert of Southern California (DigAlert), “Making It Safe for All,” Fiesta Floats. – Bob Hope Humor Award for most whimsical and amusing float: La Canada- Flintridge Tournament of Roses Association, “Panda-Monium,” Self-Built. – Crown City Innovator Award for most outstanding use of imagination, innovation and technology: The Grand Tour-An Amazon Prime Original, “Make Your Own Momentum,” Paradiso Floats. – Director Award for most outstanding artistic design and use of floral and non-floral materials: Odd Fellows and Rebekahs Rose Float, “Sacrifice to Serve,” Phoenix. – Extraordinaire Trophy Award for most extraordinary float: The UPS Store, Inc., “Books Bring Dreams to Life, Paradiso. – Fantasy Award for most outstanding display of fantasy and imagination: Sierra Madre Rose Float Association, “Chivalry!” Self-Built. 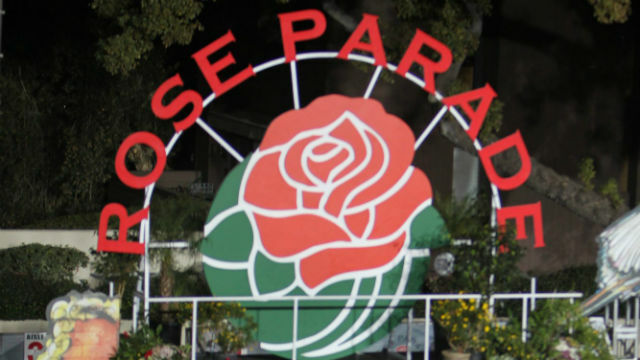 – Founder Award for most outstanding float built and decorated by volunteers from a community or organization: Burbank Tournament of Roses Association, “Sand-Sational Helpers,” Self-Built. – Golden State Award for most outstanding depiction of life in California: City of Riverside, “25th Annual Festival of Lights,” Fiesta. – Grand Marshal Award for most outstanding creative concept and float design: Dole Packaged Foods, “Sharing Nature’s Bounty, Fiesta. – International Award for most outstanding float from outside the United States: China Airlines, “Caring for Our Sea,” AES Floats. – Isabella Coleman Award for most outstanding presentation of color and color harmony through floral design: City of Hope, “Transforming Lives with Hope, Phoenix. – Leishman Public Spirit Award for most outstanding floral presentation from a non-commercial participant: United Sikh Mission, “Serving Kindness,” Phoenix. – Mayor Award for most outstanding float from a participating city: City of Torrance, “Protecting Nature… The Madrona Marsh Preserve,” Fiesta. – Past President Award for most outstanding innovation in the use of floral and non-floral materials: Cal Poly Universities, “Dreams Take Flight,” Self-Built. – Princess Award for most outstanding floral presentation among entries 35 feet and under in length: Rotary Rose Parade Float Committee, Inc., “Planting the Seeds of Service,” Phoenix. – Queen Award for most outstanding presentation of roses: Downey Rose Float Association, “Working Together,” Self-Built. – Showmanship Award for most outstanding display of showmanship and entertainment: Trader Joe’s, “Hats Off,” Phoenix. – Theme Award for most outstanding presentation of the Rose Parade Theme: Donate Life, “The Gift of Time,” Paradiso. – Tournament Volunteer Award for most outstanding floral presentation of the Rose Parade Theme among floats 35 feet and under in length: Shriners Hospitals for Children, “Caring for Kids Around the World,” Phoenix. – and the Wrigley Legacy Award for most outstanding display of floral presentation, float design and entertainment: Ag PhD TV and Radio, “Salute to Farmers,” AES.